Let’s talk about feces, that waste that builds up in the litterbox or ends up on the grass outside of the house. Feces can hide the eggs of parasites that have set up shop inside your pet’s intestinal tract. Many of these parasites can be picked up as your pet wanders around outside, comes into contact with infected feces, or comes into contact with eggs that you bring home on your shoes. 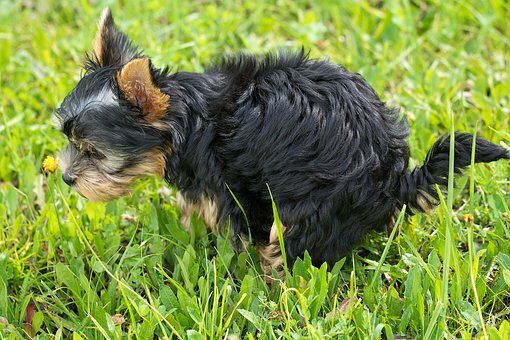 If your pet enjoys eating grass while outside, they are also at risk of ingesting grass that wild animals have defecated on and at risk of picking up any parasite eggs that have been left behind. Some can be quite difficult to treat and get rid of while others can spread to humans and be a risk for kids and the elderly. It is recommended that all of our pet’s feces, whether they’re indoors or outdoors, be tested yearly to ensure that they are not harbouring anything that could cause harm to you or them. Bringing in a sample to your pet’s annual check-up is the easiest way to do this and we can discuss the testing with you at the time!